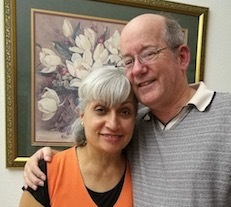 Pastor Tom Whitehouse began pastoring in San Antonio in 1981. Over the years he has developed a passion for careful and deep study of God’s word, and the need to share it in its wonderful fullness. After his studies at Florida Bible College (B.A. ), Capital Bible Seminary (M.A. ), and Somerset University (Ph.D.), He pastored churches in San Antonio and the RGV, working mostly in Spanish. He and his wife Angie have nine children and eight grandchildren. 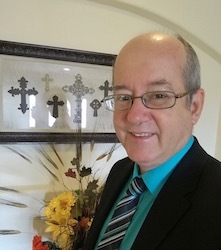 Besides his pastoral ministry, he has taught at Texas Bible College (1981-1983), National Christian University (1997), Baptist University of the Americas (2001-2004), and Rio Grande Bible Institute (2005-2008). He is now a professor and chair of the Department of Biblical Studies at Edinburg Theological Seminary. His goal is that the glory of God in Jesus Christ be manifest in every sphere of life through the careful study, meditation, and application of Scripture.